JBR Morgan started in Leicester in late 2010. More than four years later, the firm has expanded its presence nationally by merging with Loughborough based firm, LBM Law, and by opening an office in the City of London to efficiently service the growing number of London-based clients instructing the firm. 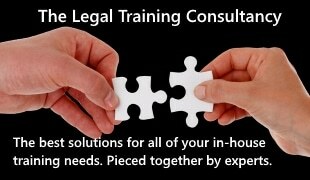 They have also diversified their practice areas having already added immigration and personal injury over the last 24 months and are now on the verge of adding property, dispute resolution and commercial litigation as well as employment law to their main area of expertise – criminal litigation. Their philosophy has been as successful as it has been simple: The client is king. DPS’s technology solutions have assisted them in applying this principle to everything they do and in becoming better than their competitors. Due to their expansion plans, JBR Morgan needed a robust, secure and flexible IT infrastructure that could be rolled out very quickly with a minimum of effort. ‘’We didn’t want to get involved in hosting our own servers’’ explains Iqbal Jinnah, one of the firm’s Senior Partners, who wanted to spare the practice the hassle and expense associated with the traditional IT model. This technology preference made dpscloud the obvious choice for them. DPS’s managed IT solution provides them with all the specialist software applications they need (legal accounting and case management software for Crime and Personal Injury) which are accessible remotely, via the internet, meeting one of Iqbal’s main requirements. 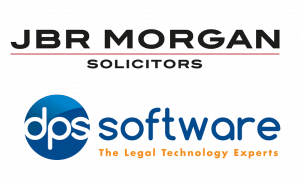 This solution enables JBR Morgan to respond to their clients’ enquiries promptly as the system allows for faster access times to client files. ‘’We no longer need to retrieve paper documents from storage cabinets’’ notes Iqbal while the integration of various practice areas within the same system allows staff to instantly see the different matters that clients have ongoing. ‘’The facility to permit clients access to selected documents within their files saves both clients and us valuable time’’ he adds. As all documents are stored digitally, they are able to exchange information much faster with relevant third parties as well such as barristers and experts, speeding up the progress of their clients’ cases even more. According to Iqbal, the case management system’s full integration with Microsoft Outlook made it easy for staff to become confident users of the product who find its ability to centralise documents across offices particularly useful.